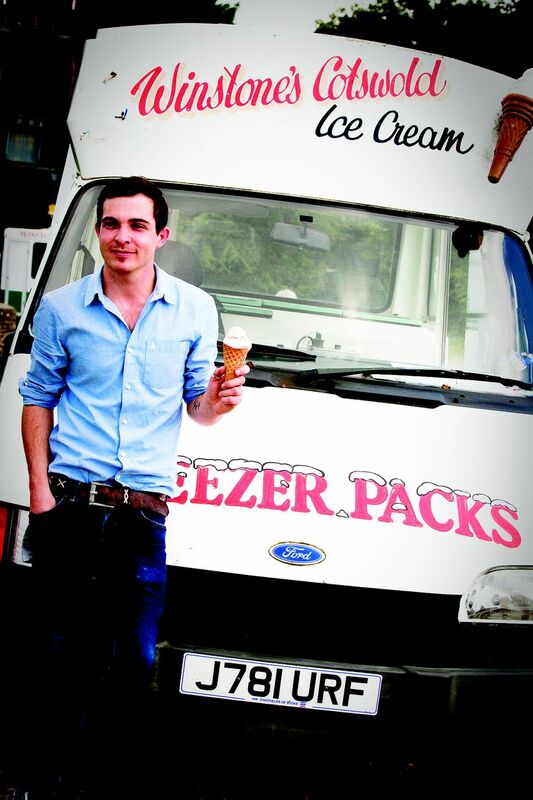 Ben is 22 years old and a fourth generation master ice cream maker from the heart of the Cotswolds. He learnt his craft through generations of his family who are still in business today. Ben’s Great Grandfather Albert Winstone started Winstones Cotswold Ice Cream in 1925 near Stroud, Gloucestershire. Ben’s mother Jane sits as managing director and Ben’s father Colin acts as General Manager. It’s a proper family business and if they are all as lovely as Ben, it’s no wonder they’ve been around such a long time. People buy from people. I firmly believe that. Ben inherited his grandfather’s insistence on sourcing the finest and freshest ingredients, if possible from the local community. You can hear this every time you talk to him about ice cream. 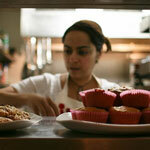 His recipes encourage use of home-grown or locally sourced fruits and the best (local) organic milk and cream. I thought about this background when flicking through the beautiful hardbook book to decide which recipe to try first. It had to be the Cornish Style Vanilla which is adapted from the recipe used by his great grandfather in the 1920s. The books starts with some science because it’s the essence of good ice cream (in my humble view). If you get the balance wrong, you get rubbish ice cream. It’s really as simple as that. Ben does a more detailed job of explaining this. He first cites Mrs A B Marshall’s book ‘The Book of Ices’ which was first published in 1885 with some key hints such as ‘too much sugar prevents freezing’ and ‘too little sugar causes ice to freeze hard and rocky’. Then you’ll learn a little about the three ‘constituent states of matter’ – solid (ice crystals, fat, undissolved sugar), liquid (milk, cream) and air added when churning. It’s fascinating. They should use it as part of the curriculum as I’m sure would have remembered this in relation to ice cream vs the rote learning I had to do! The recipes start with some Vanilla basics. 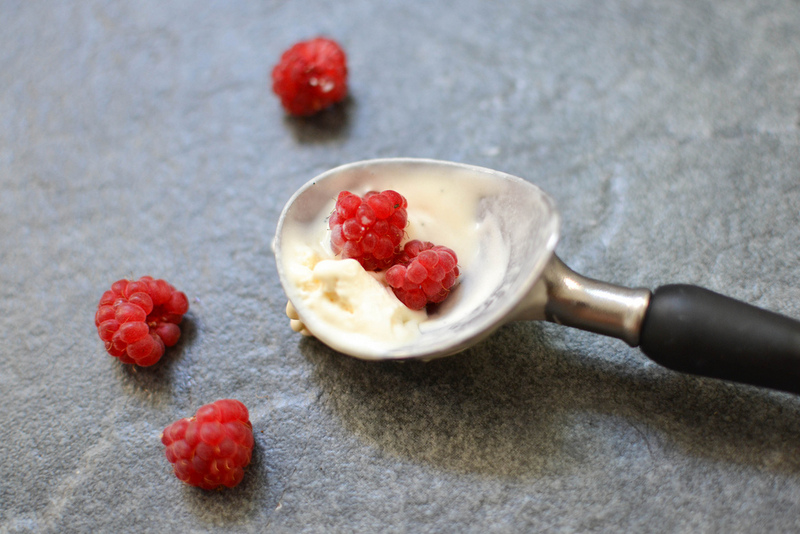 Plain vanilla with double cream and clotted cream variations of course but also some twists such as Moondust Frozen Yoghurt, Bourbon Vanilla and Skinny Vanilla using virgin coconut oil and skimmed milk powder. On the list to try. The next chapter focuses on Sugar, caramel and toffee and includes the now ubiquitous Salted Caramel, Butterscotch and Toffee Fudge with a very clear explanation of sugars, toffees and caramelisation. Amy loved the next chapter devoted to Chocolate and I loved the intro with tips on choosing the right chocolate for ice cream and tempering. I also liked that there are recipes for traditional rectangular Choc Ices (remember those), Choc and Nut Lollies and Chocolate Bombes as I have always wondered how those are made. I must have a go at both when the temperature cools down and chocolate is a bit easier to work with. After chocolate comes Berries. My favourite. I love the idea of Blueberry Pie which uses mascarpone and digestive biscuits. There are some unusual ones in here too such as Balsamic, Blackberry and Strawberry Ice Cream. Must admit I am not sure what to make of that one – ayurvedically it’s all wrong wth vinegar and cream being so unharmonious but I like to try new things and every now and then disrupting the balance is worth it. Which brings me to the next chapter on Citrus. The science on this one is most interesting as the acidity should just mean it all splits. But Ben’s expertise and year’s of family knowledge mean the recipes are easy, not full of complicated steps and sound like ones I want to attempt without the fear of wasting good ingredients. Lemon Posset and Marmalade and Burnt Toast seem the most delightful and though I am not a huge fan of sorbets, I like the sound of the Orange, Basil and Bay. Herbs and Spices covers so many wonderful combos – Clove and Lavender, Chilli and Lime, Ginger and Honey and Gingerbread to name a few. I hope Ben had my blog in mind with his next chapter on Botanicals. He suggests the perfect pairing for botanical ice creams to be a traditional dandelion and burdock syrup which can be poured over vanilla ice cream. Sounds delicious. 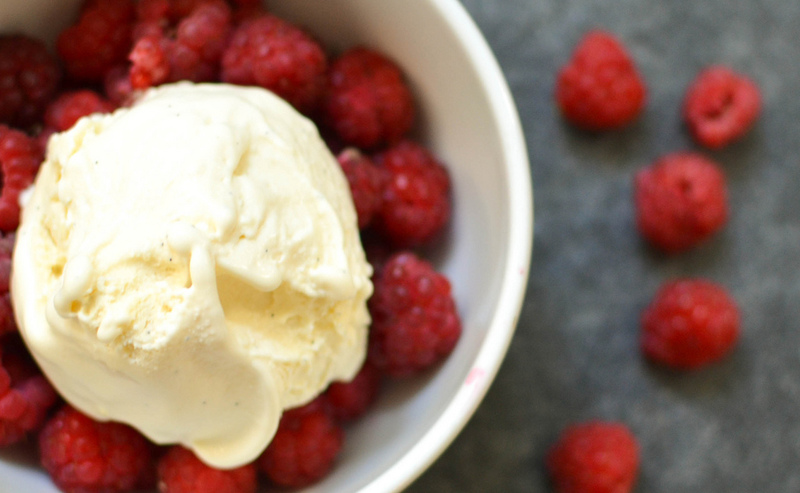 We tried the Rosewater ice cream which was heavenly. I think I’m going to steal a little Sloe Gin from my husband this weekend and try the Sloe Gin and Damson infusion with some we froze last year. Finally, another smart chapter is all on accompaniments. Not sauces but vessels to enjoy your ice cream in such as sugar cones, waffle cones – wholemeal ones no less and tuiles. Really nice idea. 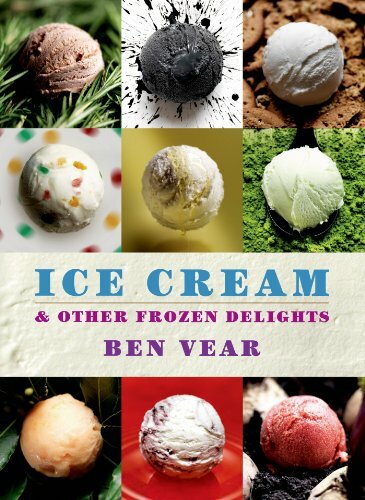 This is a great book for ice cream novices and those who want to experiment with something more radical. You really do have all the know how to experiment and enjoy different ice creams. Perfect timing for this sultry British summer we’re having. Congratulations Ben. Published by Bloomsbury Books who I would like to thank for my complimentary copy. I’m fascinated by the scoop of black ice cream in the top row on the cover of the book – what flavour is it? Sounds like a great book, the flavour combinations you mention are inspiring. Do the recipes need an ice cream maker, or would just a freezer be ok? It’s lemon and squid ink! Apparently all the rage in Japan. I’m not sure I’m brave enough for that one! Lemon and squid ink, who’d have thought?.. sometimes it’s better not to ask!